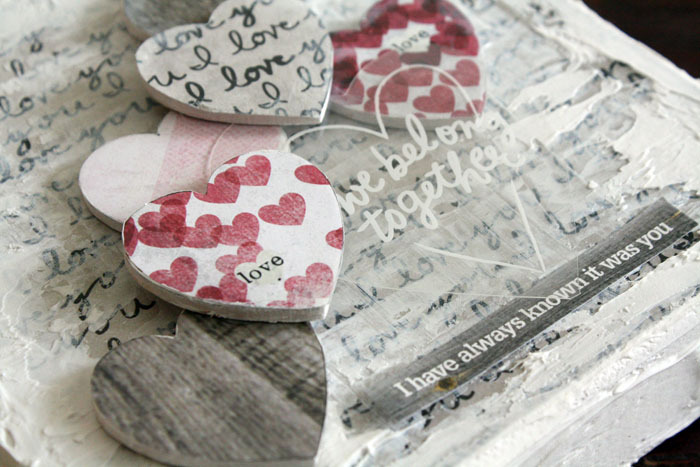 "The gorgeous paper from the 'Straight to the Heart' mambiSHEETS paper pad inspired this piece. I love paper with words, script writing, or text. I love the way it looks on any project, but I really adore the way it looks under plain white modeling paste. I just love all the texture that can be created. I also thought that the transparency of the ClearExpressions transparency would look amazing if I could somehow place it on the canvas with space under it. Attaching anything transparent is tricky, so the hearts were perfect for that. 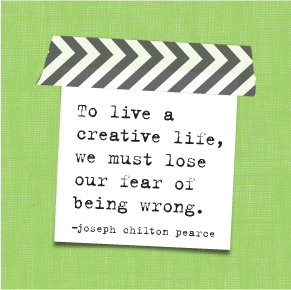 I was inspired by some beautiful art pieces that I saw that included plexi glass over it." After the canvas has dried, use a popsicle stick and spread some modeling paste over the surface concentrating on the corners and edges. Let the beautiful paper peek through. While the modeling past is drying, use the wooden hearts as templates and cut several different heart shapes from the Straight to the Heart papers. 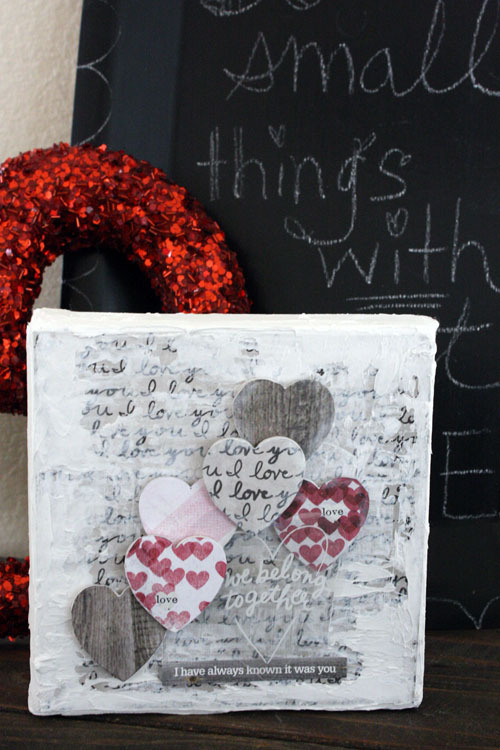 Use the same process as above to glue the paper to the hearts. Once the modeling paste is completely dry, stack the hearts in your desired position and glue them to the canvas using hot glue. 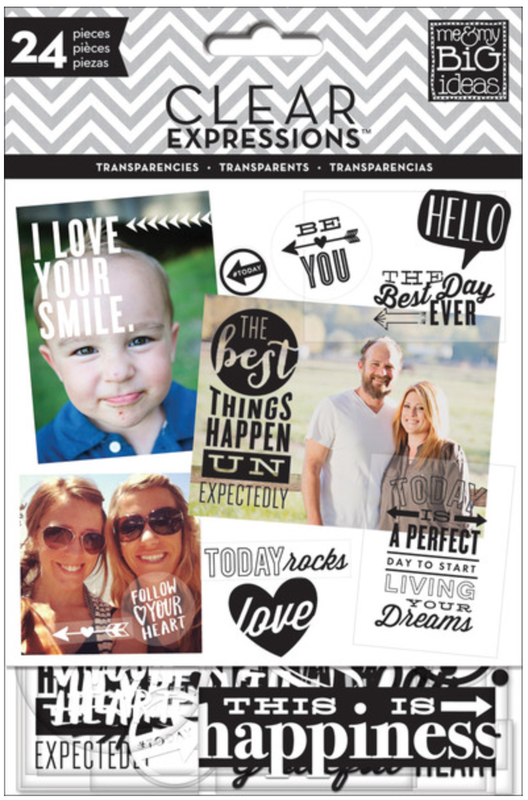 Cut down a 3x4 ClearExpressions transparency so it fits between the hearts. Use just a bit of glue to secure it. Make sure to find a place that allows the transparency card to rest OFF the surface. Add the mambiSTICKS sentiment sticker along the bottom, stand back and admire. Love this, Jen! 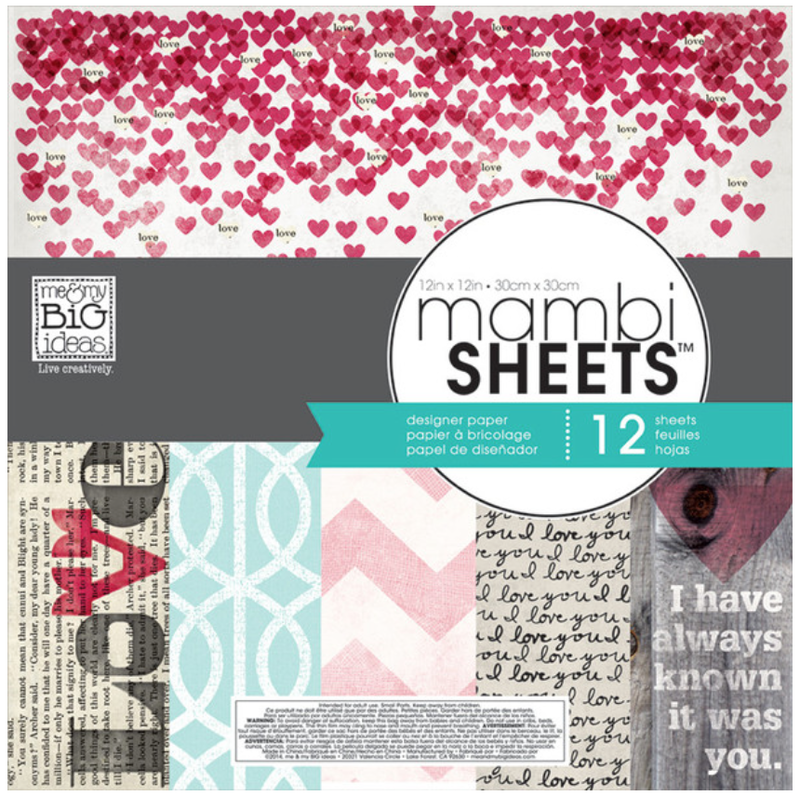 Probably our softest, more romantic edition to #mambiREDandPINK.